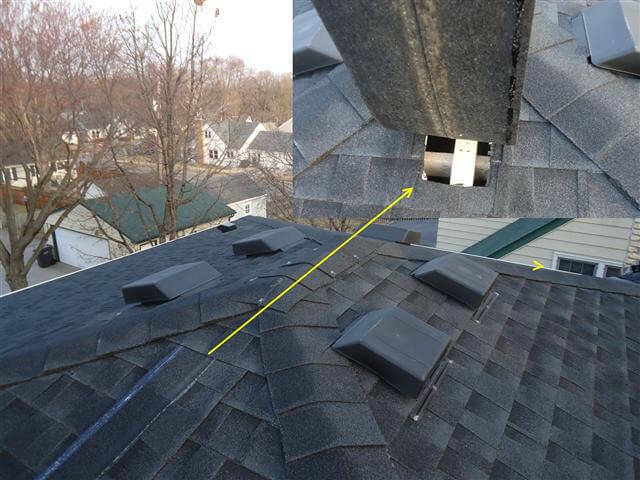 We post a new home inspection photo on the Structure Tech Facebook Page five days a week. After pouring over all of our photos from the last year, we've come up with our favorite home inspection pics from 2012. Click on any of the photos for a larger view, and feel free to share. Bent Outlet Cover - Problem: I want an outlet right where the wall is angled, but I can't get the cover plate to fit. 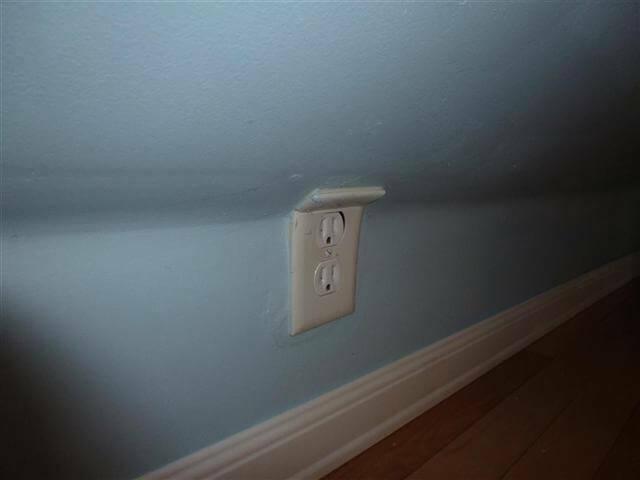 Solution: Cut the cover plate and then caulk it in place. 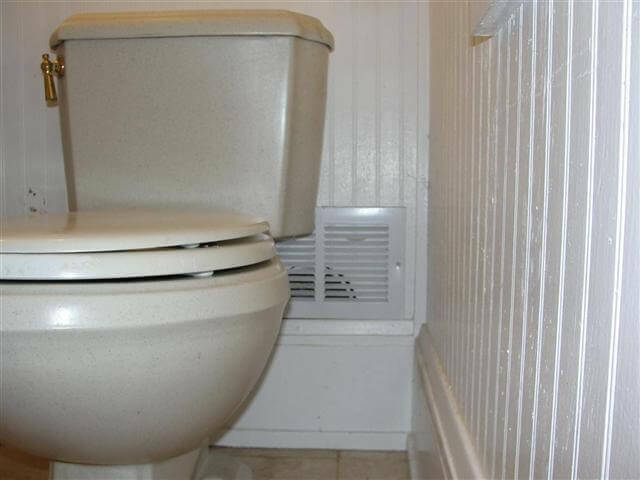 Worst Common Vent Ever - How can you get four water heaters to backdraft at the same time? Just do something like this. 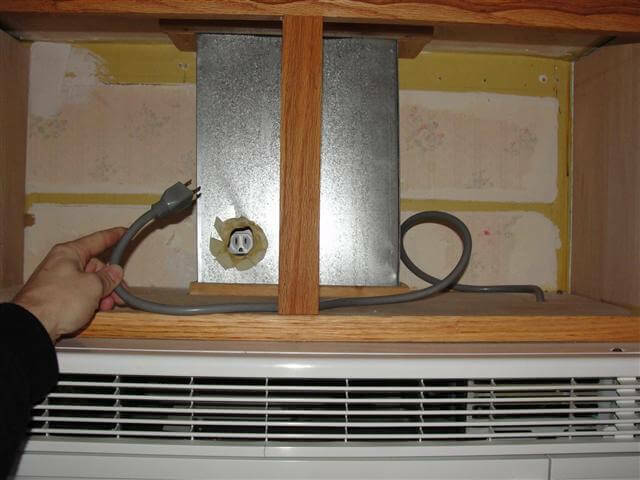 Outlet in duct - Moving the outlet would have been too much work, so someone just cut a hole in the exhaust duct for the kitchen hood fan. Nice touch with the masking tape on the sharp sheet metal edges too. 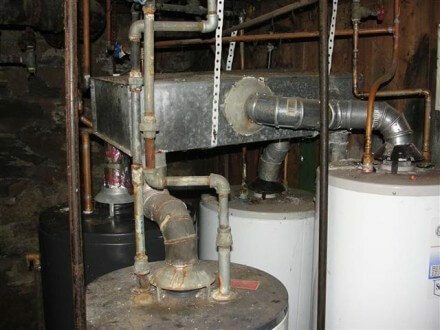 Furnace covers reversed - furnace manufacturers intentionally make it impossible extremely difficult to get the upper and lower covers reversed. With enough tenacity, one can make it happen though. 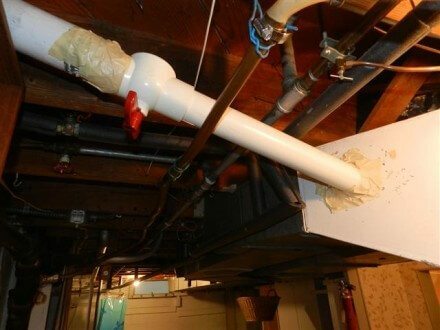 This allows most of the air to get sucked from the furnace room, completely bypassing the furnace filter. 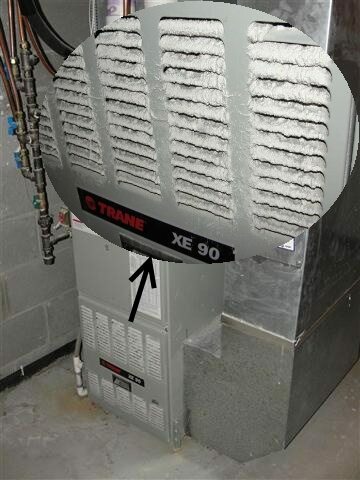 No wonder the furnace filter was so clean. 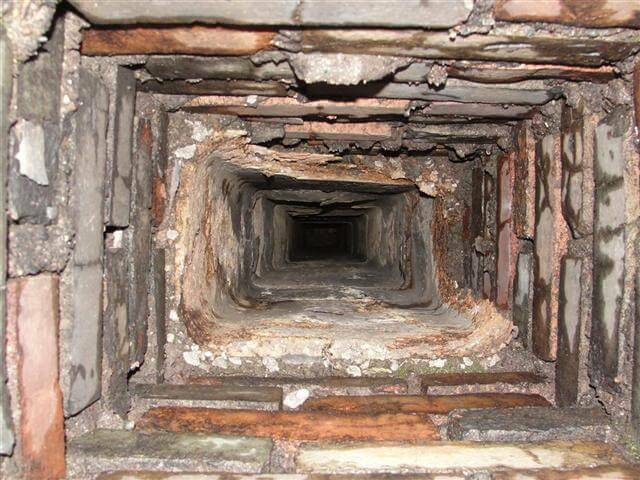 Deteriorated Chimney - Flue gases from combustion appliances like furnaces and water heaters are corrosive; that's why you see a metal liner sticking out of most chimneys in Minneapolis and Saint Paul. When the appliance vents in to the chimney without a liner, the flue gases often condense near the top and then drip down and destroy the inside of the chimney. 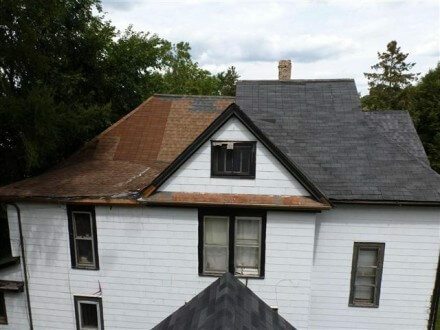 This is also just one more reason why it's important for the home inspector to get on the roof whenever possible. 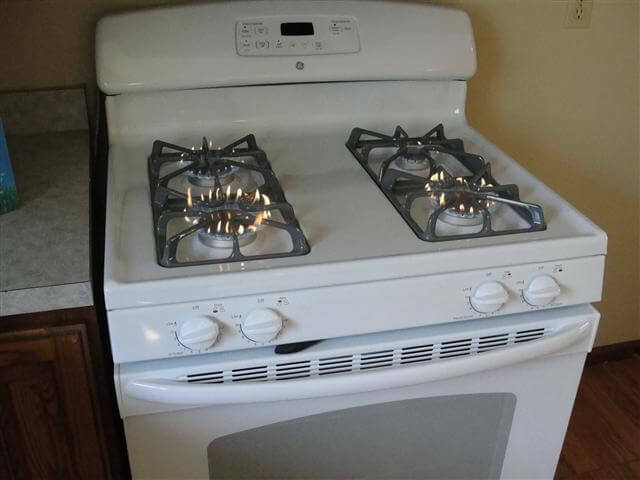 Optional Combustion Air - Have you ever had one of those days where you felt... y'know... a little too fresh? Thanks to this person's nifty invention, the combustion air being pumped in to the furnace return plenum can be manually turned off. 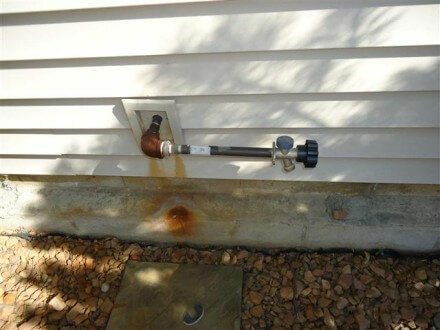 Leaking Drain - Awww, isn't that cute? 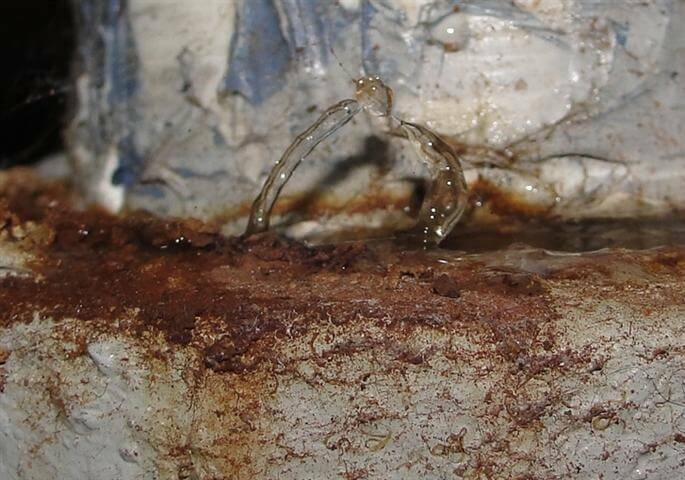 We noticed a bunch of water on the floor in the basement after testing all of the first floor plumbing fixtures. 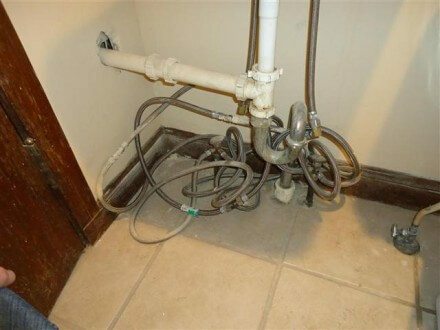 To confirm the source of the leak, we filled up the kitchen sink with water, pulled the drain stopper, then ran downstairs to catch the leak in action. TwoFur - Early attempts at one-piece kitchen faucet / sprayer combos failed miserably. 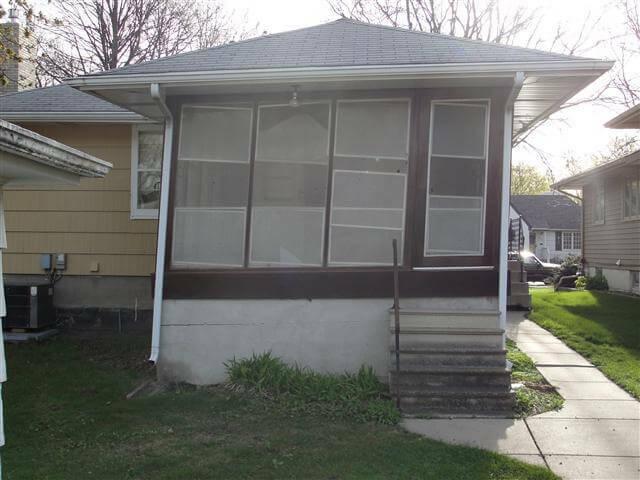 Leaning Porch - no photo editing performed here. Leaves in Attic - this huge piles of leaves in the attic was a mystery. 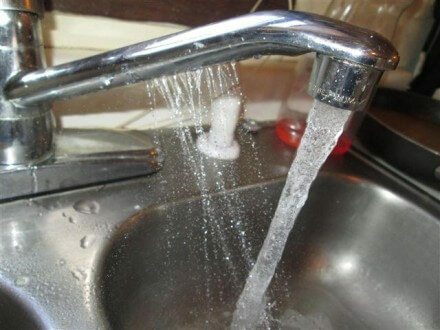 Not-so-frost-free faucet - Frost free faucets have a long stem that allows the water to be turned off inside the home, preventing them from freezing. 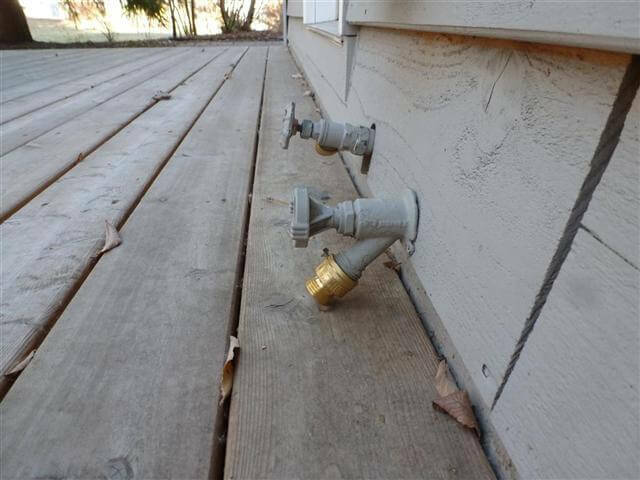 It doesn't work so well when they're installed like this. Missing Roof Vent - Nice solution. This deck puts the can't in Cantilever - The word of the day is 'fulcrum'. Now, everyone over to the right for a demonstration. Medusa's House - we think we know where she lives. Obstructed Vacuum Breaker - Over/under on how long it will be before that vacuum breaker is removed after the Bloomington inspector leaves: 9.5 seconds. 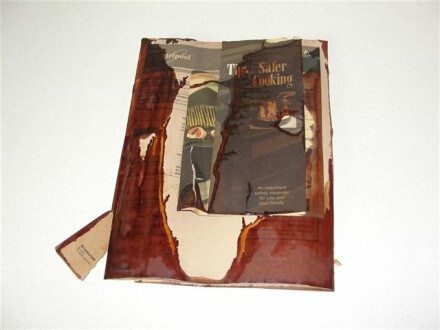 Scorched 'Safer Cooking' Manual - Alanis Morissette would love this photo. Dontcha think? Strategic Bath Fan Placement - this gives new meaning to the term 'point source ventilation'. Exploding Range - what happens when you take a range designed for natural gas and install it in a home with LP gas? You create an explosion hazard. DO NOT test the oven if you ever come across this defect - a huge fireball will shoot out when you open the door, which will singe your hair and give you half a heart attack. Don't ask us how we know. 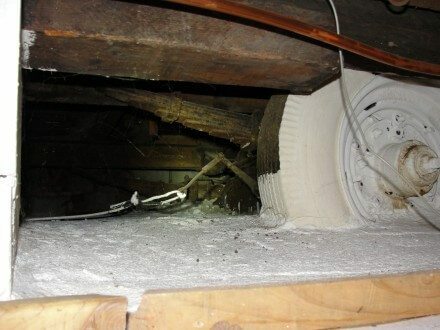 My crawl space has a flat tire - we couldn't believe our eyes when we found this trailer frame partially buried in concrete in a crawl space, supporting the addition at the front of a house in Hopkins. 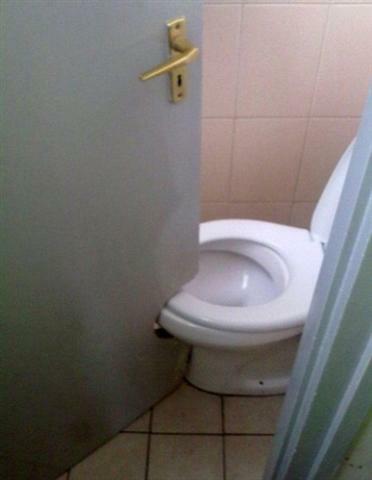 Men make things fit - We've seen plenty of doors notched out to get around toilets, but this might be the worst one yet. 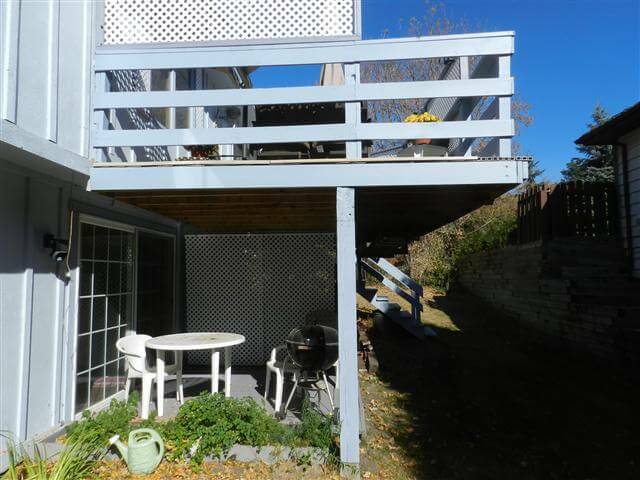 That last photo was a 'bonus' photo sent in by Rick Norling, past owner of Structure Tech. If you enjoy these kinds of photos, remember to like our Facebook page. Thanks! 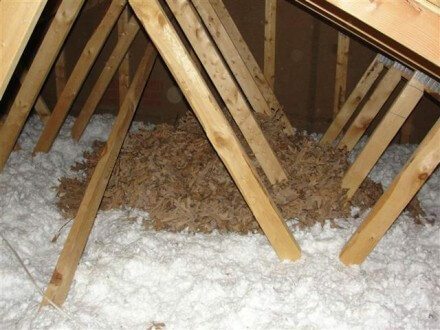 Spray-foam insulated roofs with no ventilation: Allowed in Minnesota?